Ted Rogers, for decades, has walked a high wire in a constantly evolving industry, and has rarely fallen. Known for being persuasive, tenacious and driven, his success has lined the coffers of his company––and his shareholders′ pockets. Building a telecom empire was perhaps preordained, part of a lost legacy inherited from a father who possessed vision and genius––and died too young. Ted Rogers, also his father′s namesake, picked up the torch and wrote his own version of communications history in Canada. In High Wire Act, Caroline van Hasselt offers a rich and layered story about the man who heads up the Rogers empire. By all accounts genetically wired as an entrepreneur, Rogers grew his small company into the giant it is today to the surprise––and chagrin––of competitors like BCE. 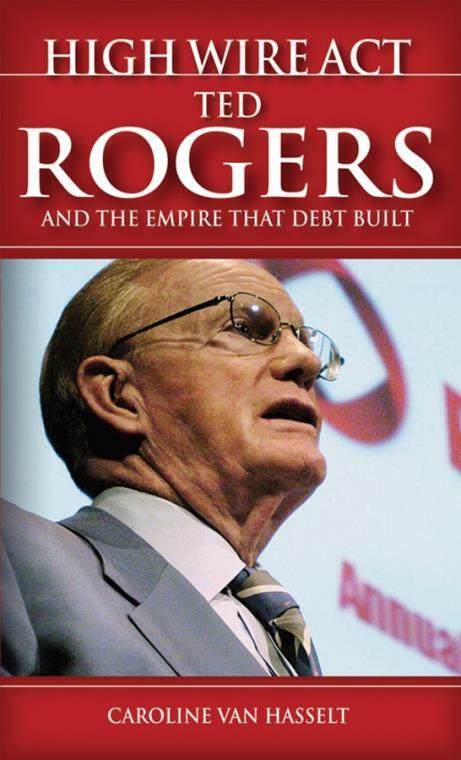 The trajectory of his life mirrors the explosive growth in a rocket–fueled industry that has seen few survivors––and surviving the almost continuous wars surrounding telecom, technology and media convergence has taken its toll on Rogers. Ill health. Near bankruptcy. The vitriol of competitors––and even from within his own ranks. Public outcry over poor customer service and bully tactics. How much more history will Ted Rogers make? What will be his next conquest? The bets are on that a life′s work is not complete for a man driven to compete and win in an unforgiving business for more than fifty years. Admire him or revile him, Ted Rogers sits astride how modern society communicates. It is a fascinating life′s work that is about to unfold in these pages.